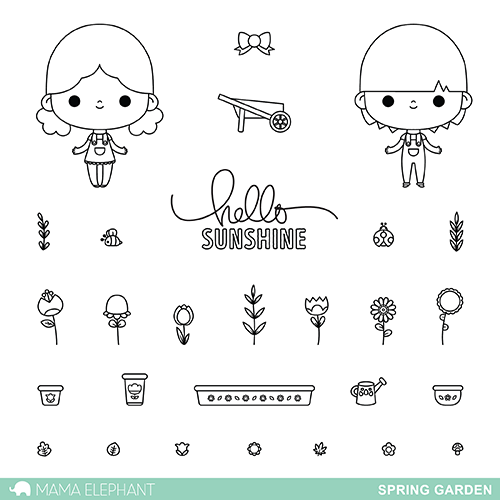 Luli Buny is back with us this month with Spring Garden! It's the perfect set to bring on Spring with a boy and girl gardener and all these cute little flowers and accessories to build the perfect little garden! 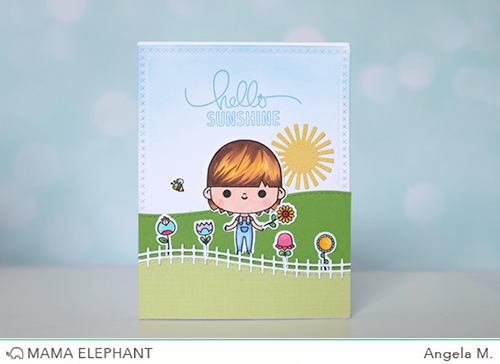 We are so ready for SPRING with Angela's adorably sunny card! This card is all about white picket fences and sunshine! who has the white picket fence die? Cute stamp set for creating scenes, and love the little fence die!